The twinkle of holiday lights will soon wrap us into magical, merry wonderment. Every year, I am learning about and experiencing new holiday light shows and experiences. I have to say, lights never disappoint and really uplift the spirit during this wondrous season. Need some sparkly inspiration in the Midwest? 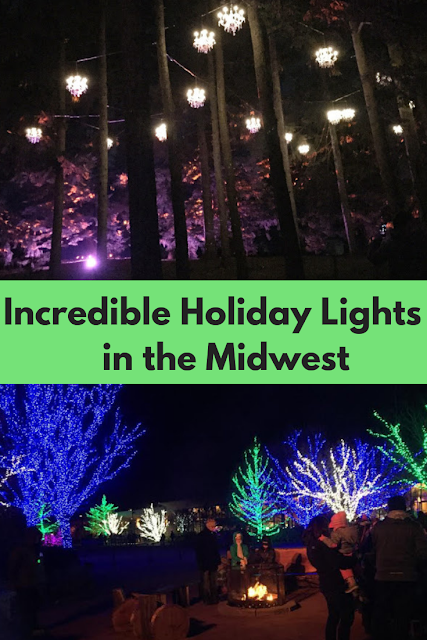 I have rounded up a collection of incredible holiday light displays throughout the Midwest including some suggestions from Midwest travel writers. Enjoy! 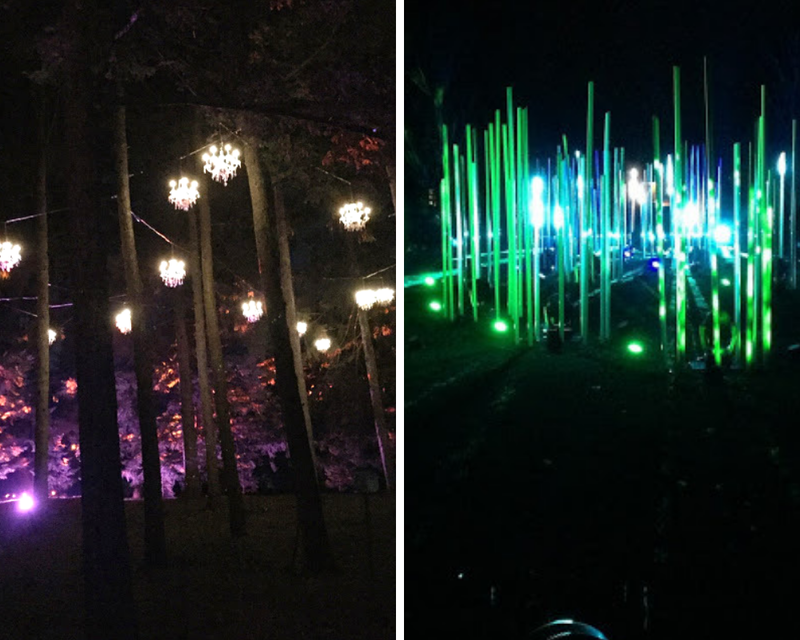 Illumination at the Morton Arboretum highlights nature in new light. Illumination: Illumination at The Morton Arboretum in Lisle truly lights up the trees. The walk through light exhibit is interactive and teases all of the senses. This year's exhibit runs November 17-January. 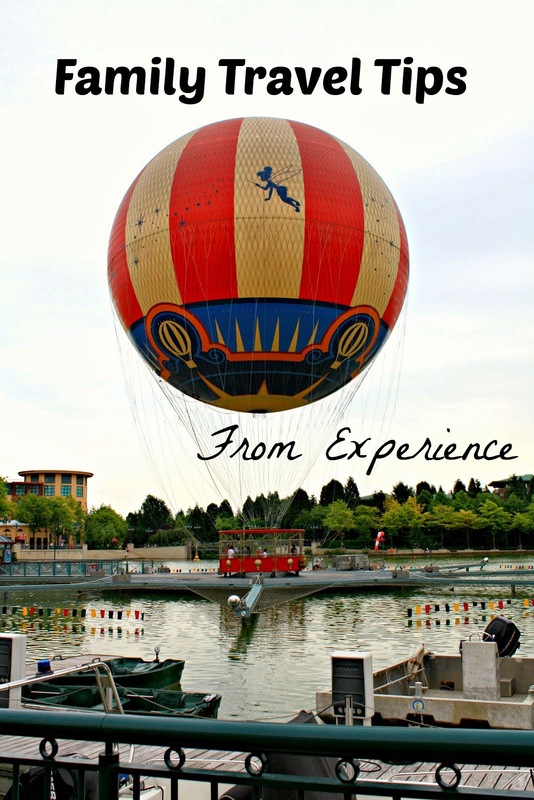 Take a peek at my view of Illumination from last year to see a little about what the show is all about! 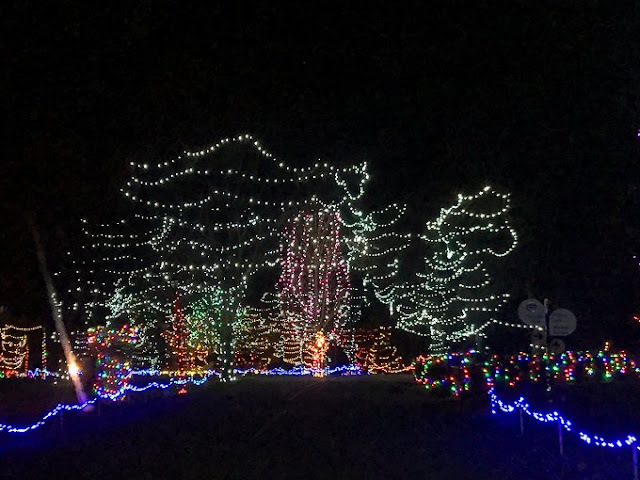 Folepi's Winter Wonderland: This magical two mile drive through display in East Peoria features a parade of light floats, other light displays and a 30 ft inflatable snowman. Midwest Wanderer takes us to the fun in her post Folepi's Winter Wonderland East Peoria, IL: Two Miles of Holiday Lights. This year's event runs November 22-December 31. 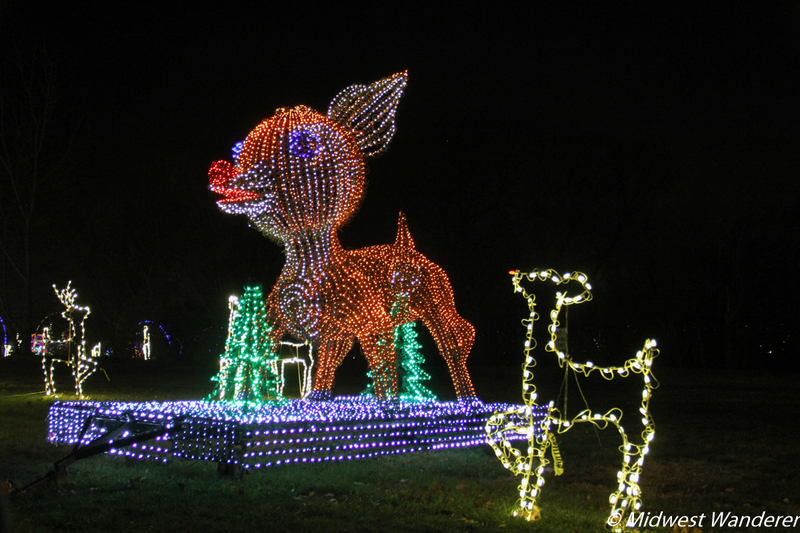 ZooLights at the Lincoln Park Zoo: During ZooLights, Chicago's famed Lincoln Park Zoo is draped in over 2 million lights. The family light fest includes a variety of holiday experiences including ice carving, musical light shows, carolers, a light maze and more. The Local Tourist shows us more about this year's Lincoln Park ZooLights fun running November 23-January 6 on select evenings. Rudolph makes an appearance at Folepi's Winter Wonderland in East Peoria. 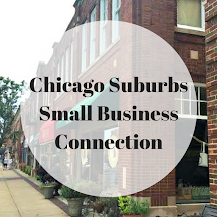 Image courtesy of Midwest Wanderer. Reynolds Farm Equipment Christmas Lights: The Reynolds Family in Fishers started their display tradition 26 years ago by decorating farm equipment. Now, their light display incorporates about 150 displays. The impressive display opens this year on November 20 and runs through January 1. Washington Park Festival of Lights: Located in Michigan City, the Washington Park Festival of Lights features over 5 million lights and is the largest drive through light display in the Midwest. How can you not grab a cup of cocoa and take a drive through? 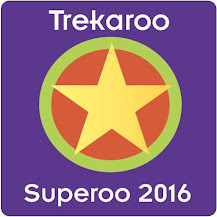 This year's event runs December 1-January 5. Reflections in the Park: Reflections in the Park in Dubuque includes over 80 displays donated by local businesses. The whimsical display helps raise funds for Hillcrest Family Services. This year's display runs November 22-January. Between England and Iowa gives us a peek at a recent display in Reflections in the Park Dubuque: Drive Thru Christmas Light Display. Taking a ride at Reflections in the Park in Dubuque! Image courtesy of Between England and Iowa. The Arc's Lights: The Arc's Lights in Wichita is a drive through display made of about one million lights. The display fundraises funds for The Arc of Sedgwick County which provides support and programs with those with intellectual and developmental disabilities and their families. This year's display runs November 22-December 28. A great cause and a festive event! 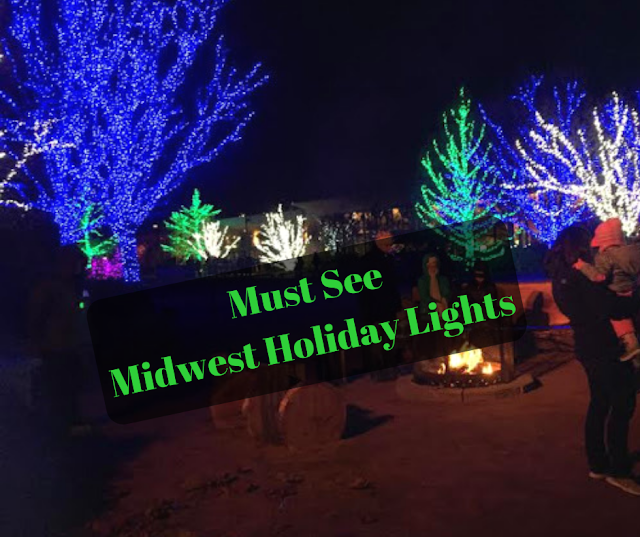 Illuminations: Illuminations at Botanica in Wichita features over 2 million lights creating an enchanted Christmas forest and illuminating numerous gardens. The lights and incredible dazzle to the gardens! Enjoy festive treats, carolers and more. This year's event runs November 24-December 31. Holiday Nights: Holiday Nights at Greenfield Village in Dearborn puts a historic flare to holiday lights. Enjoy lights adorning historic buildings, bonfires, fireworks, roasting chestnuts, Model T rides and more during this special holiday affair.The event runs November 30-December 27 on select days. Bentleyville Tour of Lights: The Bentleyville Tour of Lights in Duluth, Minnesota features 40 acres of lights creating what is "America's Largest Free Walk Through Light Display" right on the shore of Lake Superior. This year's show will run November 17-December 26; see website for more details on dates and times. 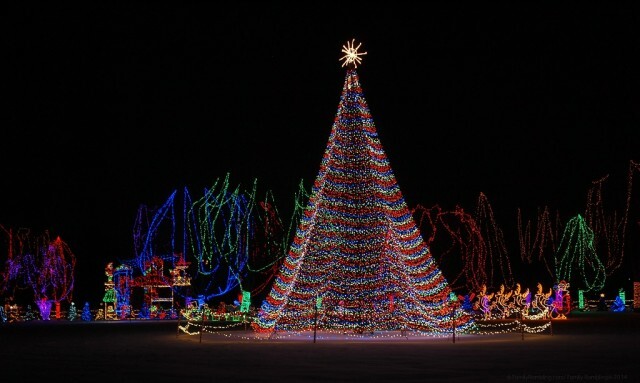 Kiwanis Holiday Lights: Kiwanis Holiday Lights in Mankato twinkles with over 1.5 million holiday lights. The light extravaganza begins with a light parade. The event runs November 23-December 31. For a peek at the fun, see Family Rambling's post: Mankato Christmas Lights: Making the Holiday Merry and Bright. 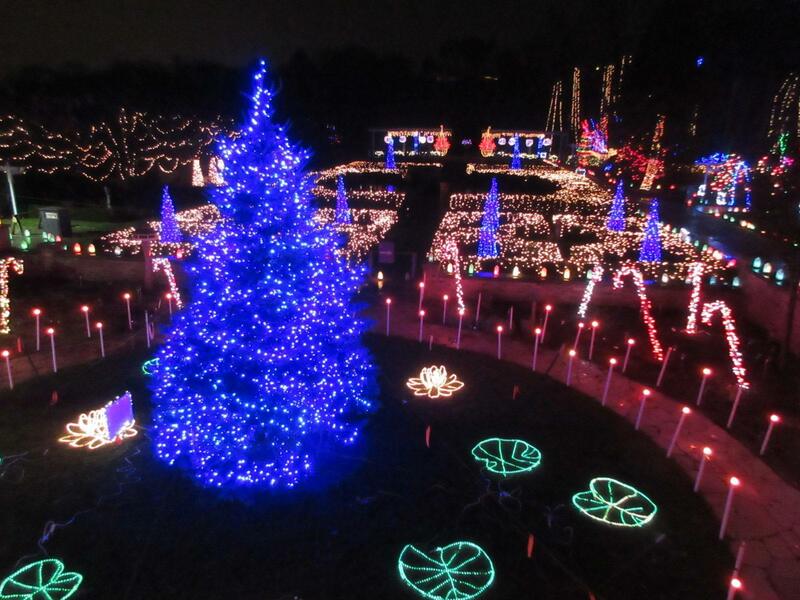 Making Spirits Bright: Making Spirits Bright at the Minnesota Landscape Arboretum in Chanhassen. The light festival features six different worlds of lights, a tempting S'more Village and other family activities. Day Tripper shows us a little from the festival in Making Spirits Brighter at the MN Landscape Arboretum. This year's display runs November 23-January 6. 50,000 lights adorn this tree at the Kiwanis Holiday Lights! Image courtesy of Family Rambling. Brewery Lights: Brewery Lights at the Anheuser-Busch Brewery in St. Louis treats visitors to over a million lights, kids and family activities, special beer for the adults and more. Of course, there will also be Clydesdales! The event runs November 15-December 30 Thursdays-Saturdays but check website for more specific dates and times. Winterfest: During Winterfest at Worlds of Fun in Kansas City, thousands of dazzling lights transform the park into a holiday wonderland. While enjoying the lights, Winterfest has a whole slate of merry activities including reindeer visits, an igloo village, ice skating, North Pole post office, holiday themed shows and more. Open Wide The World provides a look at the festivities in Our 5 Favorite Things at Worlds of Fun Winterfest + 5 Tips for Your Trip. This year's event runs November 23-December 31 on select days. Omaha Holiday Lights Festival: 40 blocks of downtown Omaha will be lit up with the sparkling holiday spirit. The festival will also have a range of family events including December 2's Family Festival incorporating different venues in Omaha, an ice rink and New Year's Eve Fireworks. The festival runs November 22-January 6. See website for more details on times and events. HollyDazzle Festival: The HollyDazzle Festival in Grand Forks features a light parade and fireworks over the Red River. The one day festival also features all sorts of holiday fun including carriage rides, cookie decorating and more. This year's festival is on November 25. Prairie Style File tells us why HollyDazzle is so much fun in Fruitcakes, Cosplay and Fireworks: Zany North Dakota Christmas Celebrations. Holiday Lights on the Hill: Holiday Lights on the Hill is a two mile round trip holiday light display at Pyramid Hill Sculpture Park in Hamilton. 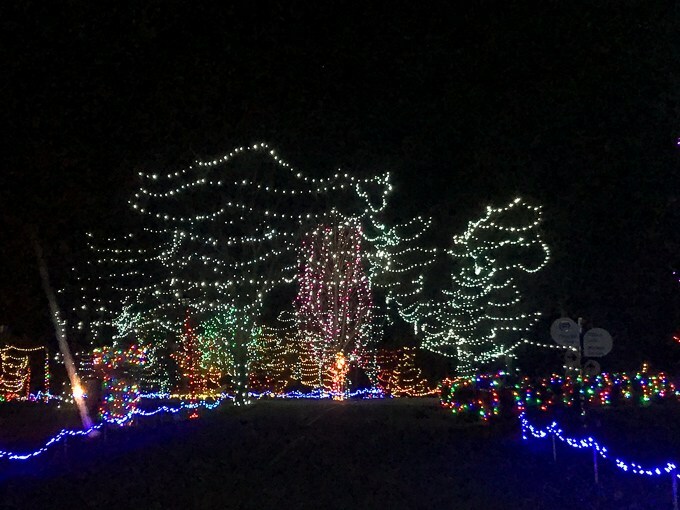 Part of the drive takes you up the hill where you are treated to an incredible view of magical lights and displays. The Rambling Ramnaths share an incredible video of this magnificent display at A Family Experience with Holiday Lights on the Hill. The event runs November 16-January 1. 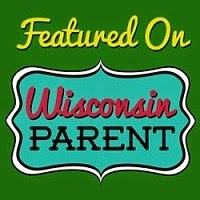 Legendary Lights of Clifton Mill: This incredible and unique display features over 3.5 million (wow!) lights the mill, gorge, river banks, bridges and trees. There also is a 100 ft waterfall of lights, synchronized lights and more! This year's show runs November 23-December 31. Dazzling lights at Holiday Lights on the Hill at Pyramid Hill Sculpture Park. Image courtesy of The Rambling Ramnaths. Christmas at the Capitol: The Capitol in Pierre will become a Christmas forest inhabited by 90 decorated trees during the holiday season! I can't even imagine how they fit that many trees in the Capitol! Amazing! This year's event runs November 21-December 25. 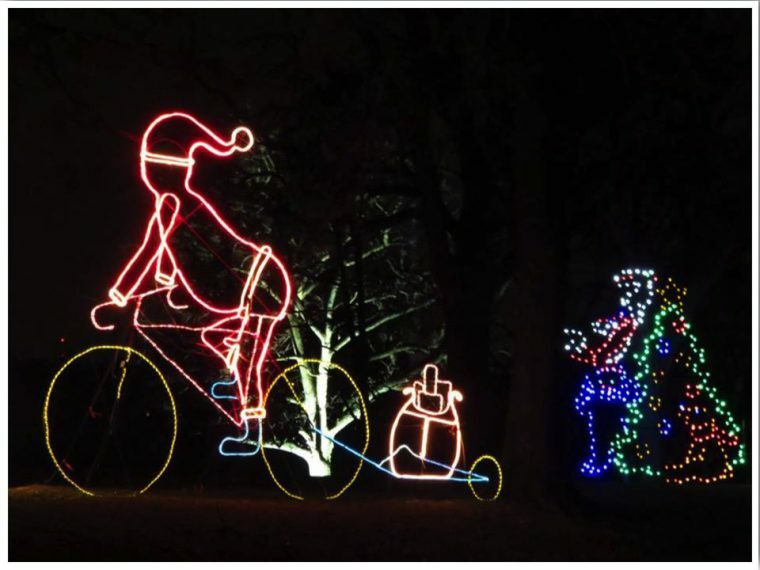 Holiday Light Show at the Rotary Botanical Gardens: The Holiday Light Show at the Rotary Botanical Gardens in Janesville features over 500,000 lights shedding new light on the gardens. Festive lights adorning bridges, pathways, tree and other features make for a magical walk through the gardens. This is truly a way to immerse yourself in the season! The event runs November 23-December 30 on select days. Gardens full of lights at the Holiday Light Show at the Rotary Botanical Gardens. Image credit Mark Dwyer. If you are looking to go a little further afield, Traveling Adventures of a Farm Girl suggests a Christmastime visit to Clarksville, Tennessee where you will enjoy a display of over 2 million lights in displays along the Cumberland River. Of course, Clarksville has more Christmas fun so check out Christmas in Clarksville. Lights under Louisville also provides a truly distinct and exciting experience of exploring a light display underground at MegaCavern. The Canadian Pacific Holiday Train provides a one-of-a-kind experience to enjoy traveling holiday lights at various stops in the Midwest. Between England and Iowa gives us a look at this festive train experience in Rocking Out to the Canadian Pacific Holiday Train. **Enjoy your holiday light explorations! Be sure to double check dates and times before heading out. Some displays are only open select days or are closed on holidays.